This week, the UiPath Community Cloud surpassed 35,000 operational robots and 17,000 tenants after 18 months of operation. Built on Microsoft Azure, the Community Cloud provides a high scale, frictionless option for users to deploy UiPath Robots without the need to acquire and manage server infrastructure. The Community Cloud features built-in management capabilities through a cloud-based UiPath Orchestrator. With the Community Cloud, users gain access to new features automatically without needing to plan and manage upgrades. The Community Cloud is the largest RPA environment in the world and building and running it has resulted in countless improvements to our core product benefiting all customers as they seek to achieve both big scale and high security. In particular, the Community Cloud has played a critical role in improving scalability for thousands of on-premises customers. Accessible through any browser, users can deploy, manage, and scale their Robots through the Community Cloud dashboard. Just last week, we enhanced this ability by releasing the UiPath Mobile Orchestrator App, furthering our community’s ability to monitor Robots with ease. Don’t have our mobile app yet? Get it now for Apple or Android. Complementing the Community Cloud, we offer a suite of integrated capabilities — available free to all — designed to reach, educate, and sustain a thriving community. That community is over 300,000 members worldwide today and we expect 500,000 by this summer. The Community is an important part of UiPath’s commitment to the democratization of Robotic Process Automation (RPA) and Artificial Intelligence (AI). 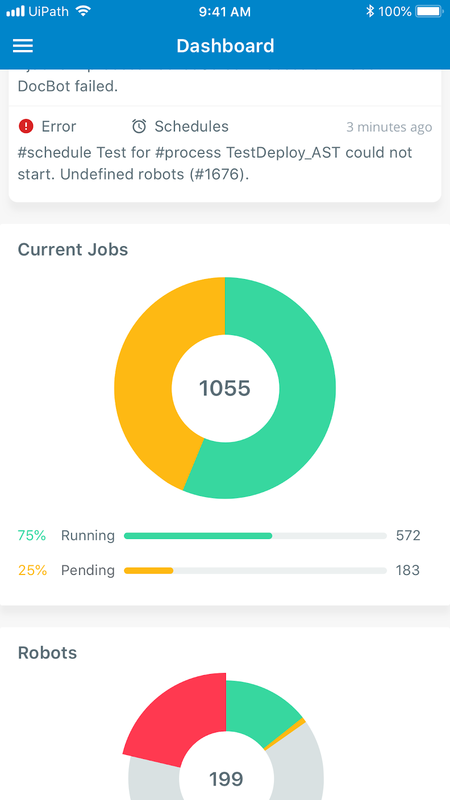 Even as we celebrate this 35,000 Robots milestone with our Community, we are hard at work on simplifying your ability to deliver robotic operations in the Cloud as high scale. As always, we are grounding our investments in your feedback. Thank you for being apart of the UiPath Community. If you are starting your RPA journey, we invite you to try the UiPath Community Cloud today.